With its renowned seasons and dramatic landscapes, New England nature provides ample influences for singer-songwriter Hayley Sabella. Her second full-length album "Forgive The Birds," available now, offers her take on the world around her. 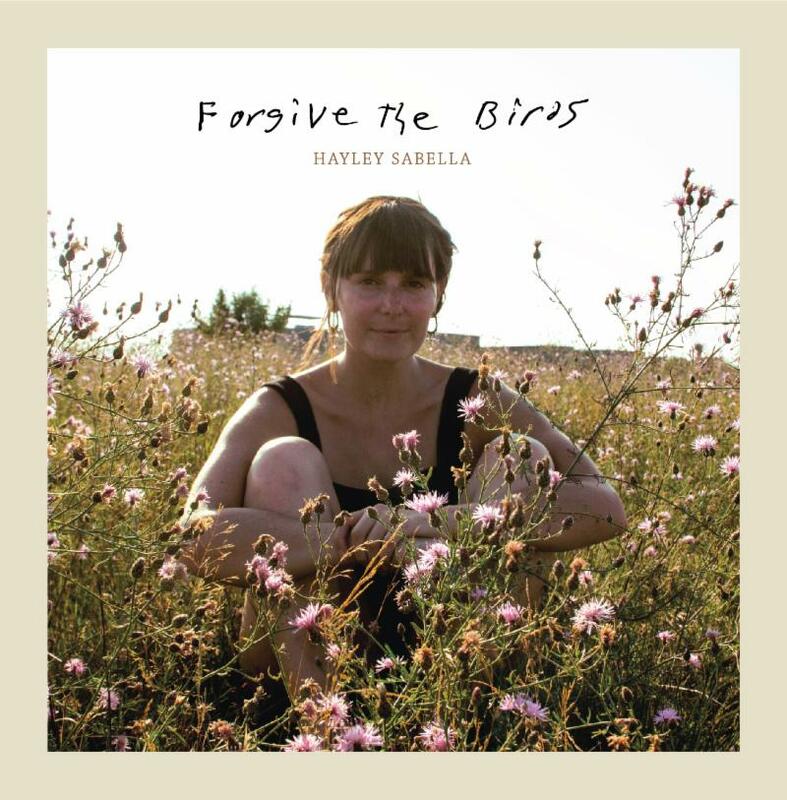 Sabella produced "Forgive The Birds" with Daniel Radin of The Novel Ideas, and enlisted the engineering talents of Harris Paseltiner, a member of Boston-based band Darlingside. The outlet premiered Sabella’s first-ever music video for “If I Reach,” which transformed from an up-tempo number to a lilting ballad “of the devastating variety” during the recording process, according to Sabella. Album standout “Turn Around” harnesses the frustration familiar to New Englanders during the last few weeks of winter, when restlessness runs high and sunshine is coveted. Glide Magazine mentioned how she shines with "pop-laden Americana" on the track. The Bluegrass Situation highlighted “Father’s Clothes,” a well-meaning attempt to guide a loved one away from a risky situation, while Atwood Magazine observed the “vibrant imagery and haunting descriptions” prevalent throughout “Love Is A Chisel,” an explanation of how love shapes and forms each of us. The daughter of missionaries who taught music, Sabella experienced pivotal years of her childhood in Central America. Music became a tool through which she could make sense of the world and put down roots. After returning to Massachusetts, it offered a connection to a home that wasn’t offering the connection she craved. "Forgive The Birds" displays tension and relief; a relationship between vulnerability and strength, death and rebirth, pain and love.